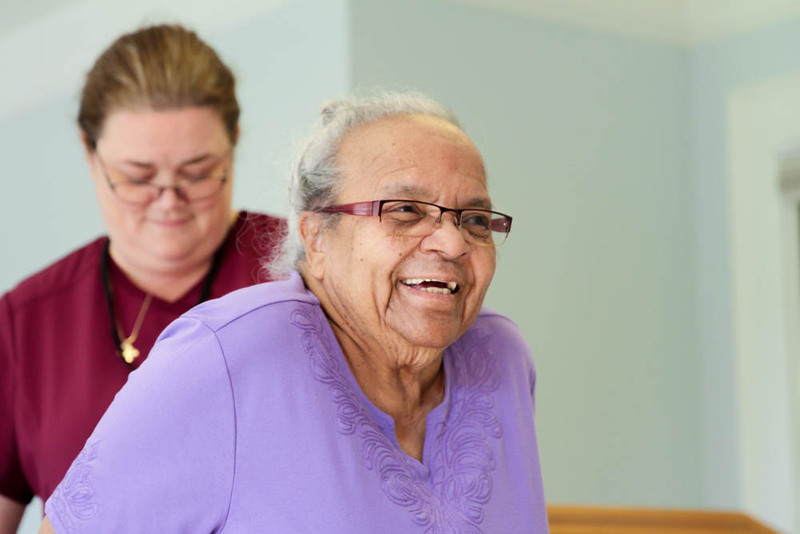 Carolina Rivers Rehabilitation & Nursing Center, located at 1839 Onslow Drive, Jacksonville NC, is a short-term rehabilitation and long-term care facility specializing in short-term care. 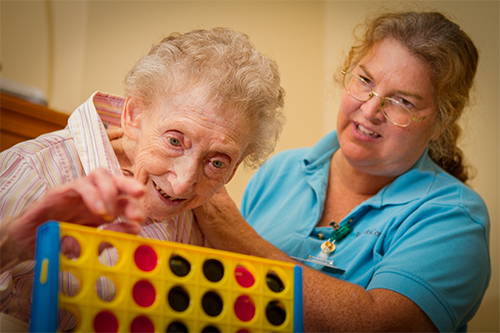 We provide a unique environment that allows patients to practice their occupational skills before they transition to their homes and regular lives. Our emphasis on outstanding customer service and cutting-edge therapy technologies paired with the experience and dedication of amazing care providers offers every guest the opportunity to achieve amazing outcomes. We are conveniently located off the Hwy 17 bypass in Jacksonville and a few miles from the local hospital, making family visits and transport to your physician hassle free. Our proximity to Onslow Memorial Hospital gives you immediate access to emergency services and diagnostic screenings that matter most in critical situations. Our staff prides itself on knowing not just our patients’ names, but their personal habits as well. Not only does this allow our staff to interact at a more meaningful level with each patient, it ensures that we can continue to provide personalized care for each and every resident at our facility. Nurses and staff are rooted in the community, and many have worked there for a very long time. 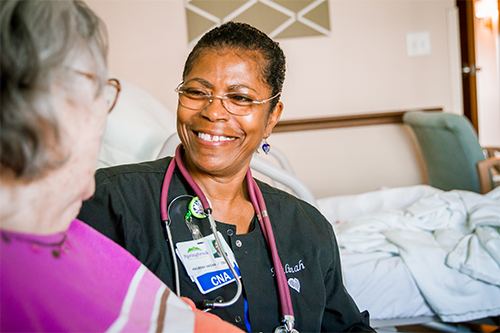 Jacksonville is their home and their patients’ community is their community. Understanding the residents goes beyond simply knowing their names, likes and dislikes. It’s about understanding habits, patterns and needs; things like redirecting memory care patients who become lost or confused or scheduling enriching activities that help nourish a patient’s mind and soul and not just their body. Carolina Rivers strives to provide these enriching therapeutic services to patients as community activities as well. Once a month, one of the local churches (a different one each month) will host a monthly birthday celebration at Carolina Rivers for every resident that will have a birthday that month. There are church services almost every day for residents that wish to attend. Our facility is also home to an aviary after the Carolina Rivers staff completed a successful fundraising effort. The aviary is not only beautiful, but therapeutic to the patients that experience this part of our community’s lifestyle. We pride ourselves on being as accommodating as possible for our residents regardless of their mobility. We provide transportation services to and from doctor’s appointments for all of our residents. Wheelchair and stretcher transports are available for doctor’s appointments as well as planned activity outings. Carolina Rivers can transport patients to doctors’ appointments, dialysis, and planned outings Non-emergency transports are provided by Friendly Medical Transport. Emergency transports are provided by Onslow County Emergency Medical Services. To learn more about our long-term care, schedule a tour, request additional information, or to begin the admissions process, contact us today. To learn more about Carolina Rivers, to schedule a tour, or to start the admissions process, contact us today!